I have so many friends and family members that always say “I wish you could mail me a birthday cake!”… well, now I can mail them a slice. I have so many friends and family members that always say “I wish you could mail me a birthday cake!” … well, now I can send them a slice. Imagine how happy and excited you’d be, if you went to your mailbox one day and pulled out a slice of cake. 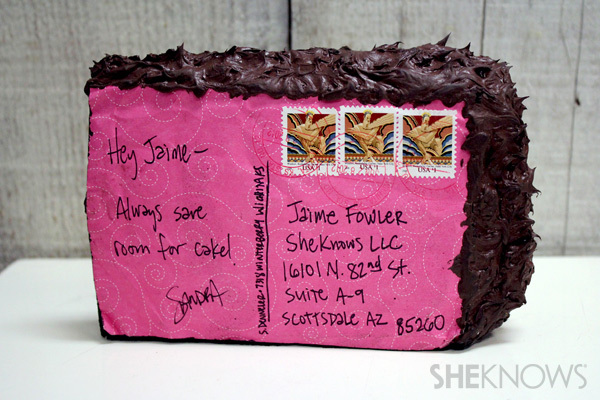 Now you can surprise friends and family (and probably even your mail carrier), with this three-dimensional, mailable postcard, cleverly disguised as cake. 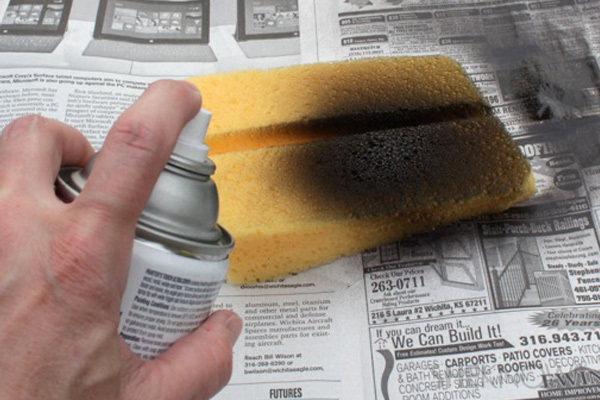 With only five ingredients in this crafty recipe — a large sponge, spray paint, caulk, spray adhesive and heavy paper — it’s a piece of cake. Literally. Postage is around $3 per slice, but the reaction from the recipient will be priceless. Click here to see more cake postcard images. 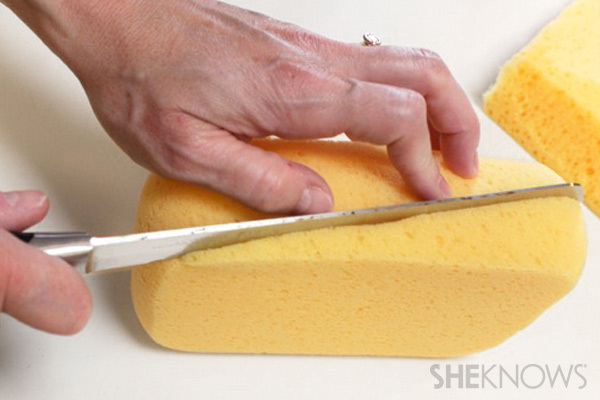 With a serrated knife, using a sawing motion, cut a sponge into two, cake wedge shapes. Large sponges can be found at hardware stores and in the automotive departments of most big discount stores. 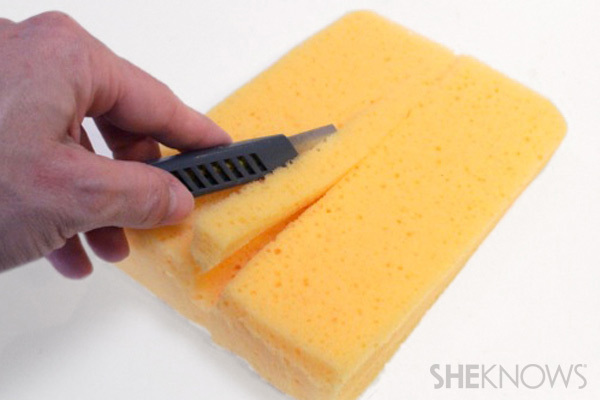 Using an X-Acto or utility knife, cut a section of foam from the center of the sponge. It doesn’t have to be perfect. Just cut a wedge big enough so that you can add a line of caulking there later. 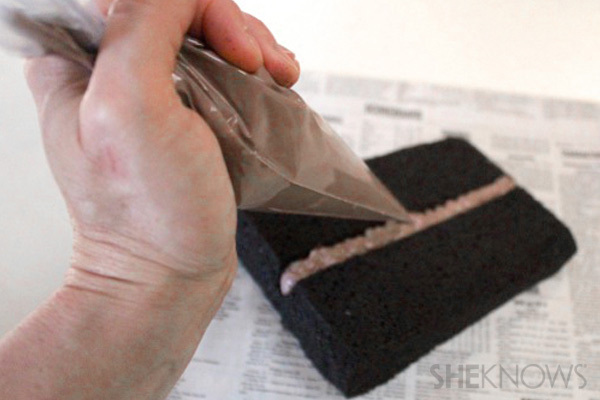 When the sponge wedges are dry, trace around them on a piece of cardboard, kraft paper or colorful scrapbook paper. This will be the postcard side of the cake. 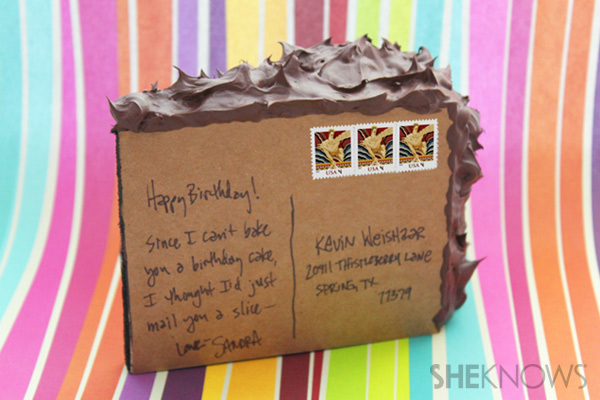 Heavier paper works better and will give you a sturdier wedge of cake for mailing. Cut the postcard shapes from the paper. 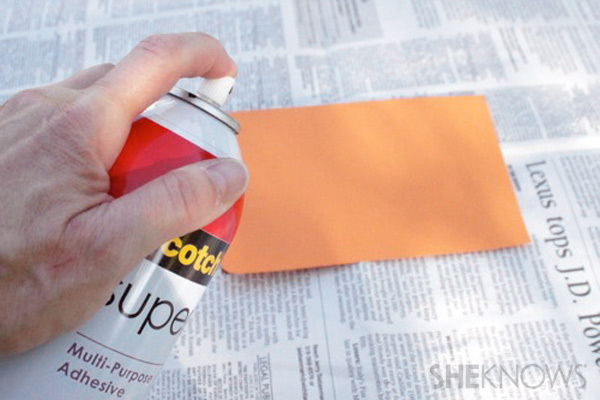 Spray glue the postcards to the solid, flat sides of the sponge wedges. 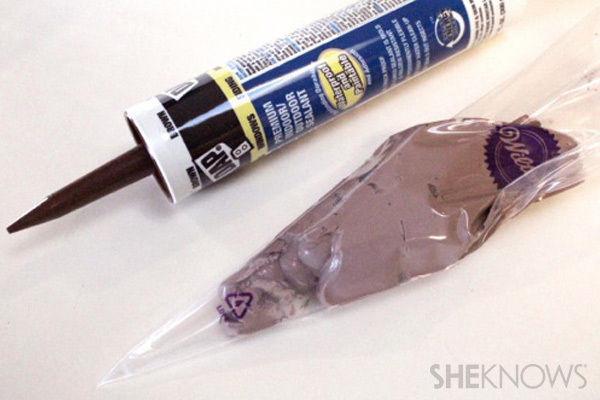 Using a caulking gun and your desired caulk, fill a plastic disposable piping bag with half of the caulk. This should be enough to do one cake wedge. I was able to pipe two cake postcards with one tube of caulk, but I recommend putting only half of the caulk in the bag at a time. 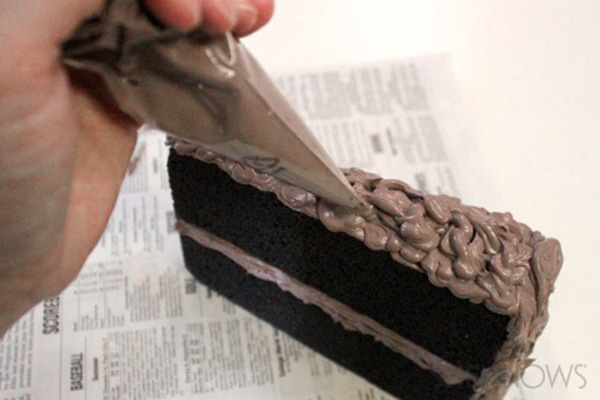 Also, I tried decorating my cake wedges using the caulking gun, but it was nearly impossible to control. It’s much easier with a piping bag. 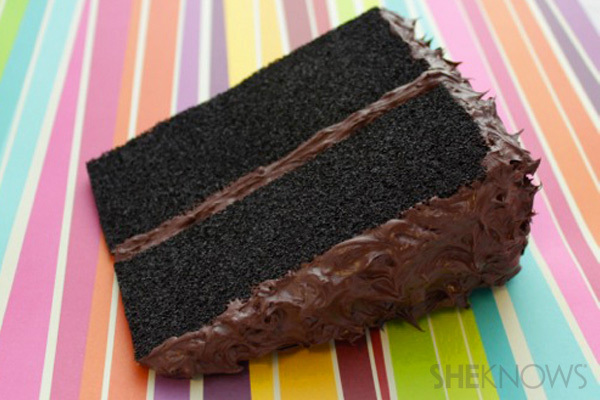 Pipe a line of caulk down the center of the cake postcard wedge, where you removed the sponge with your knife. 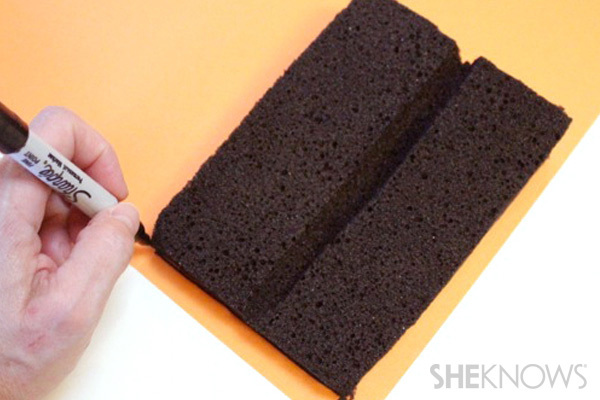 Pipe dollops and swirls of caulking on the top and sides of the sponge wedge just like you’re decorating a cake. Pipe along the edge of the cake postcard to form a seal between it and the sponge. 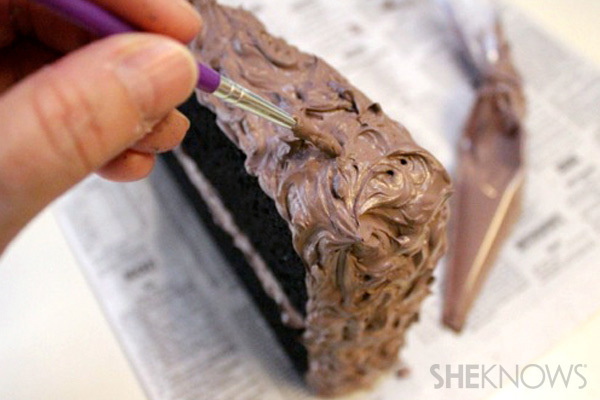 If needed, use a small paint brush or toothpick to swirl and adjust the thickness of the caulk on the cake top and side. 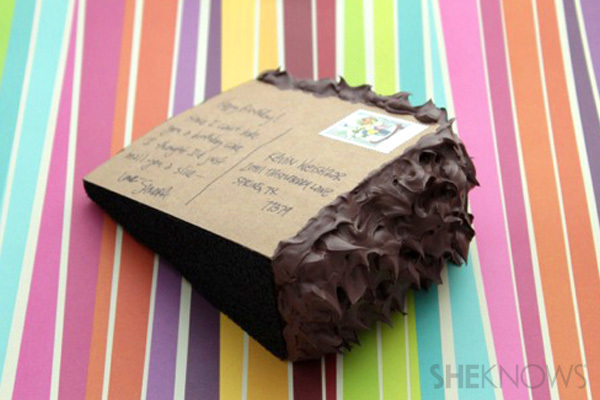 Allow your cake postcards to dry for three to five days. I placed mine on sheet of parchment paper and lifted them up periodically so that the caulk wouldn’t dry and adhere to the paper. Write your message on the postcard side, leaving enough room for an address and postage. Sizes, shapes and weight of each cake postcard will vary, but most of mine required three, $1 stamps. 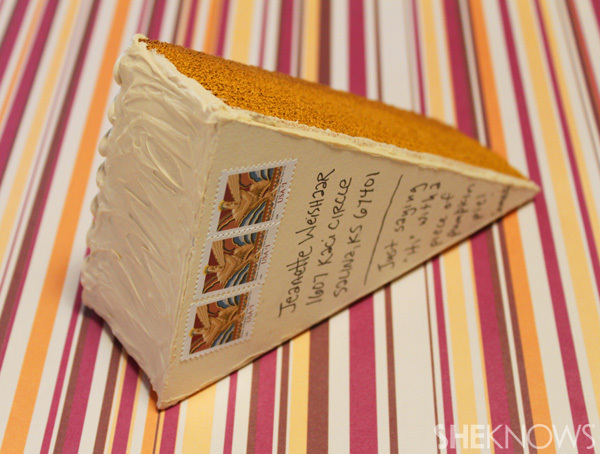 Proof that you can in fact mail a slice of cake. Fear not! You can still have your cake and eat it, too. 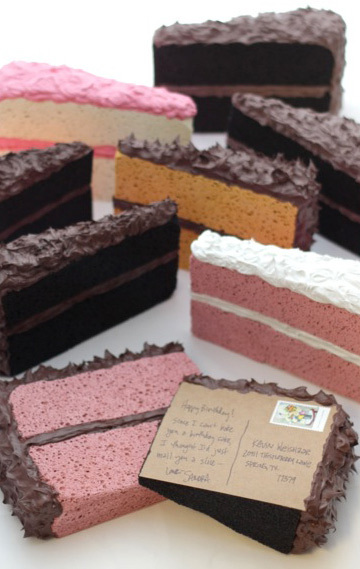 Check out this Etsy shop where you can purchase your very own mailable slice of cake.